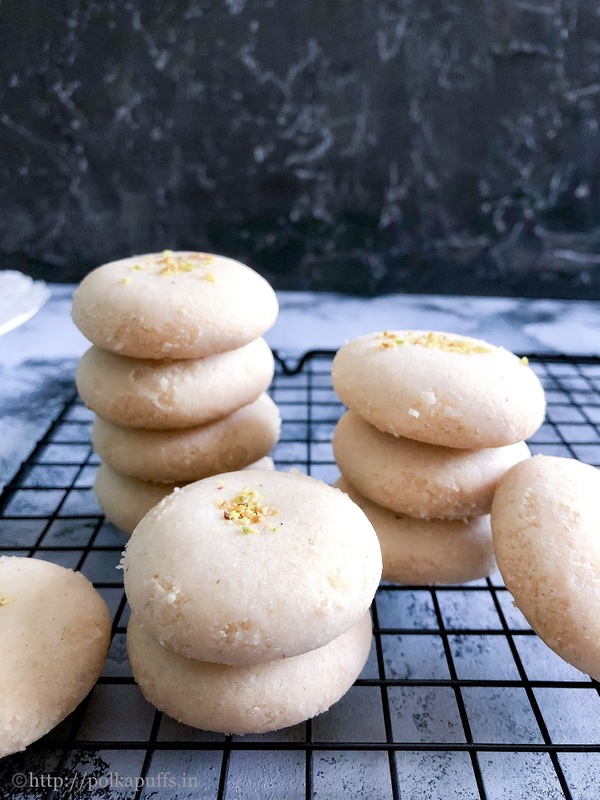 Nankhatai | Egg free Indian Shortbread Cookies are typically made with all purpose flour, semolina, ghee or clarified butter, gram flour and some cardamom for that heady aroma. 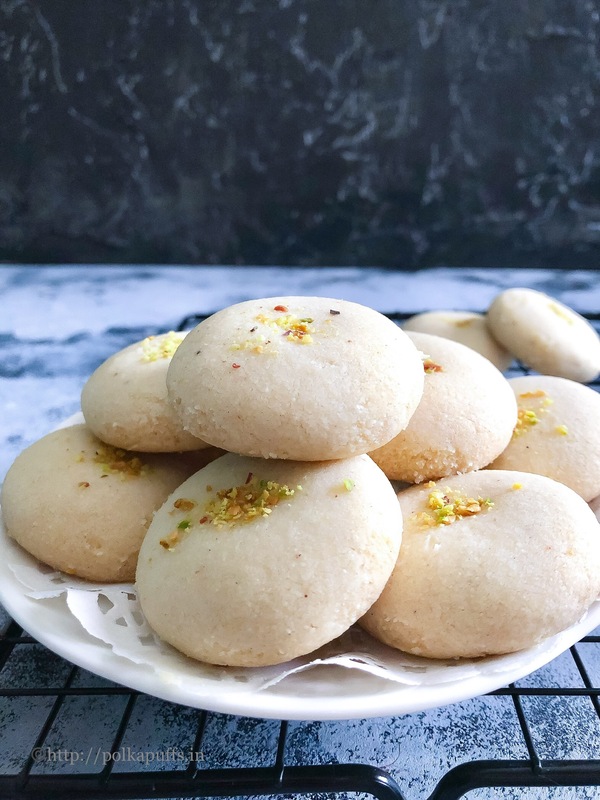 One will come across various recipes for these Nankhatai | Egg free Indian Shortbread Cookies and each recipe is perfect in their own way. I have a recipe here which I’ve used many times over and it never disappointed me. 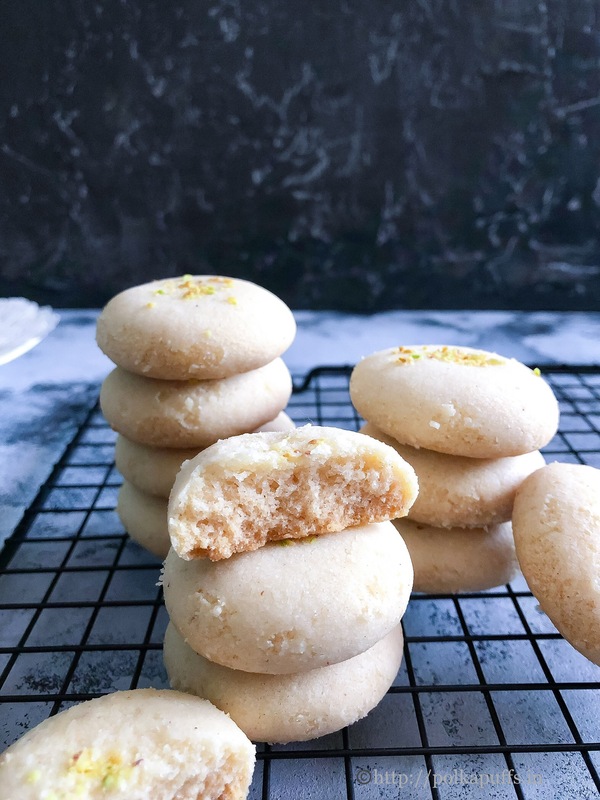 Nankhatai | Egg free Indian Shortbread Cookies have turned out perfect each time, they are beautifully white and perfectly melt in the mouth. 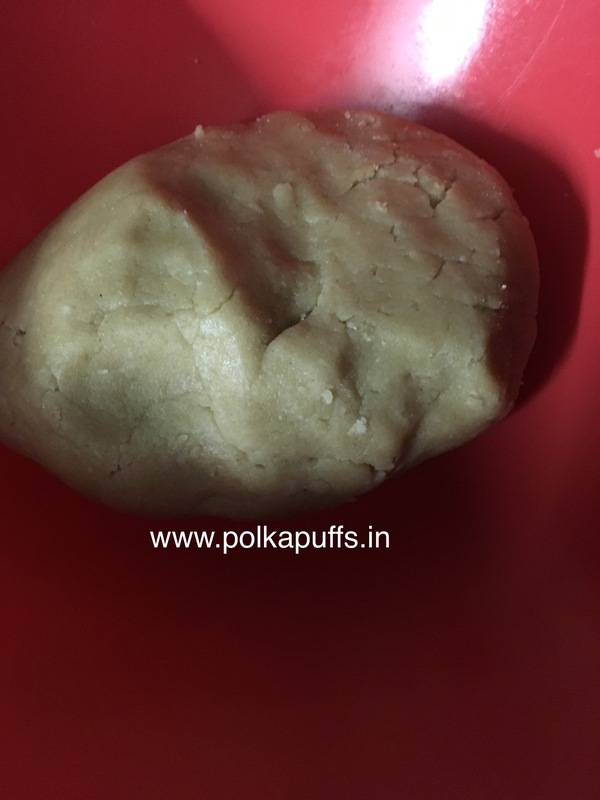 We have to in keep in mind that these cookies won’t turn out perfect if we were to skimp on the ghee. 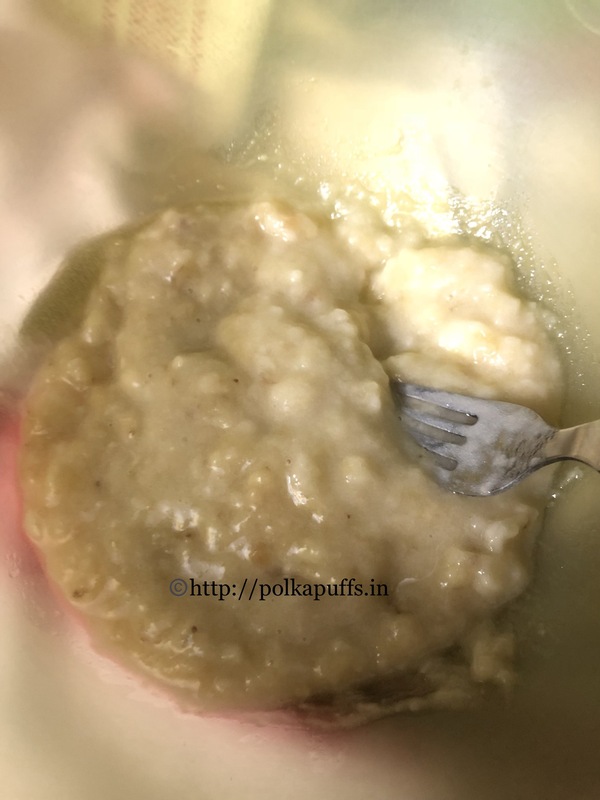 It is the ghee that makes them so delicate and delicious. The next most important thing we have to ensure is to bake them right so that they look pretty and not brown or golden. 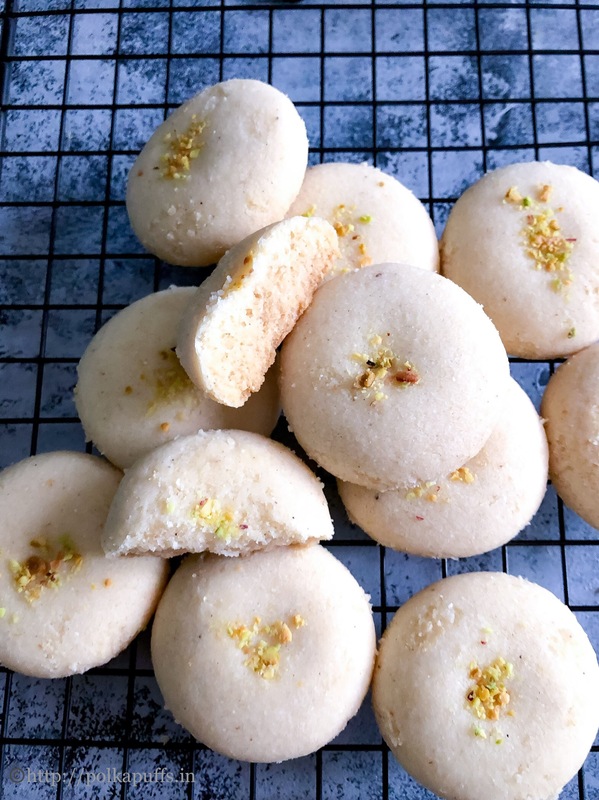 Nankhatai | Egg free Indian Shortbread Cookies has a soft, crumbly texture and as you can see in the picture, it is perfect. It doesn’t have any raising agents and yet the texture is lovely. This is because the proportions are correct and the dough for the cookie was soft as opposed to dry and crumbly. 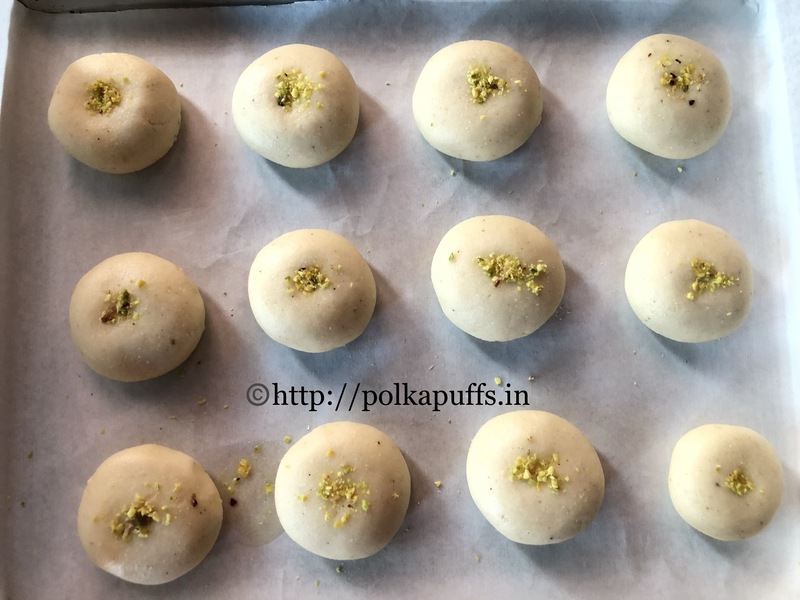 One more thing which I love about Nankhatai | Egg free Indian Shortbread Cookies is that the dough does not need chilling. We need to make the dough and simply bake these beauties. 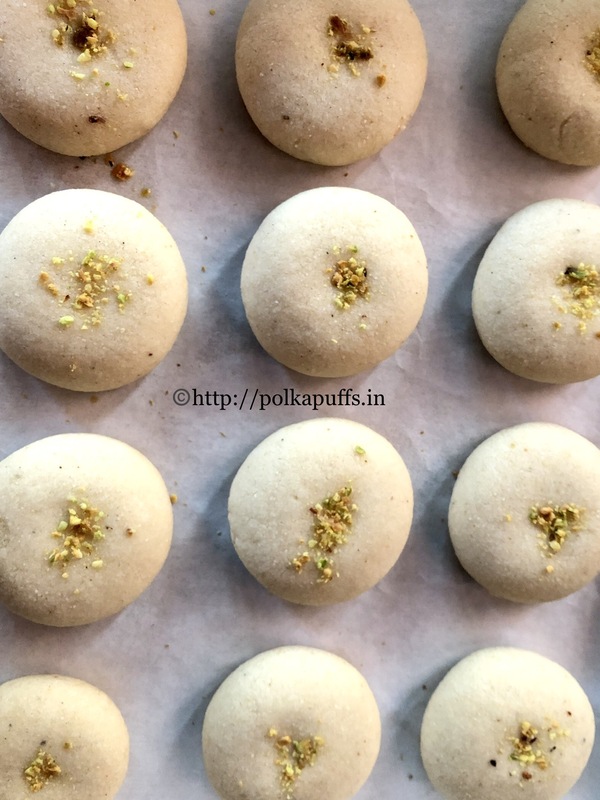 Let us make some Nankhatai | Egg free Indian Shortbread Cookies. Preheat the oven @170’c. Line a baking tray with parchment. 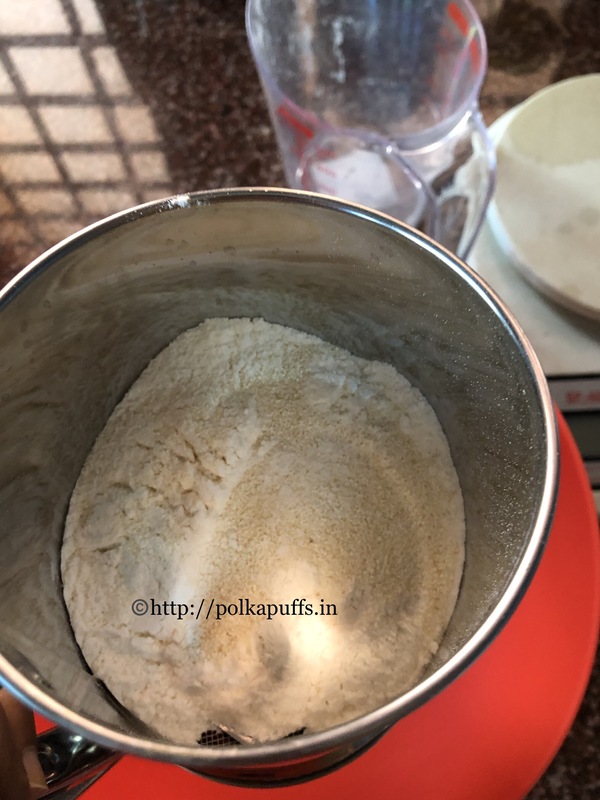 Sieve together all purpose flour, semolina, powdered sugar and cardamom powder in a large mixing bowl. Add ghee/ clarified butter one tablespoon at a time and start making a dough using your hands. I used all of the 9 tablespoons of ghee. You may need slightly more or less depending on the climate and the absorption capacity of the flour used. The dough should be very smooth and soft. If it crumbles easily, it means it needs a little more ghee/ clarified butter. 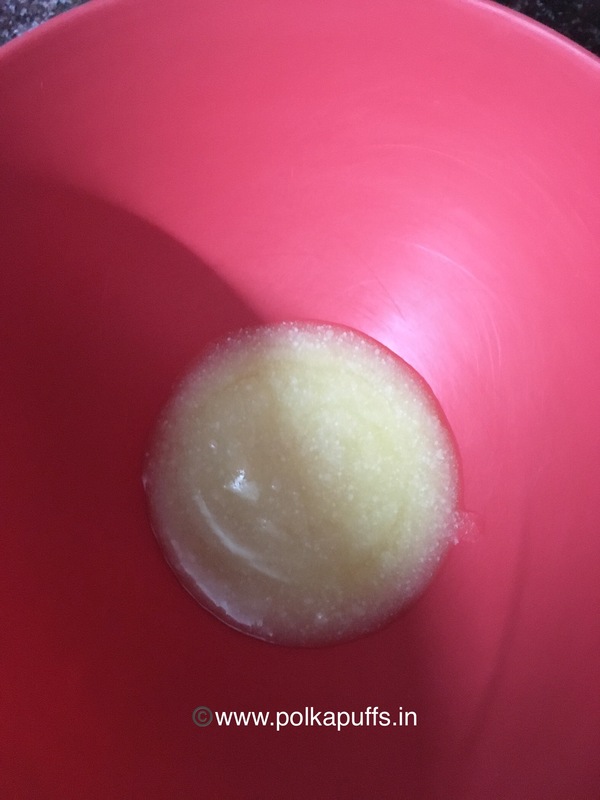 Once the dough is ready, make small lemon sized, smooth balls and flatten them slightly. You can garnish each cookie with some dry fruits, etc. Bake these @ 170’c for 15 minutes. The bake time would differ depending on your oven too. But the cookies must remain white and not turn golden or darker. Once they are baked, let them cool on cooling racks for an hour at least because they will crisp up. Once they have cooled completely, store them in airtight jars. They keep fresh for 3-4 days. Light, delicious and melt in the mouth Indian cookies are perfect to pair with cup of tea or coffee. Preheat the oven @170'c. Line a baking tray with parchment. Bake these @ 170'c for 15 minutes. The bake time would differ depending on your oven too. But the cookies must remain white and not turn golden or darker. 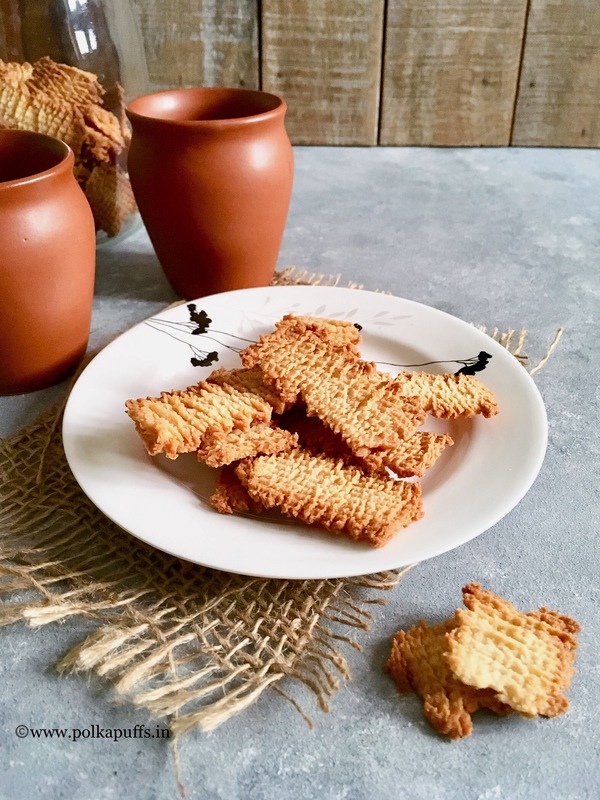 Bakery Style Atta Biscuits | No egg No butter Whole wheat Biscuits are crispy, crunchy and very delicious on their own or with some Indian style ‘chai’. These biscuits have originated in the state of Punjabi but has become very popular all over the country. 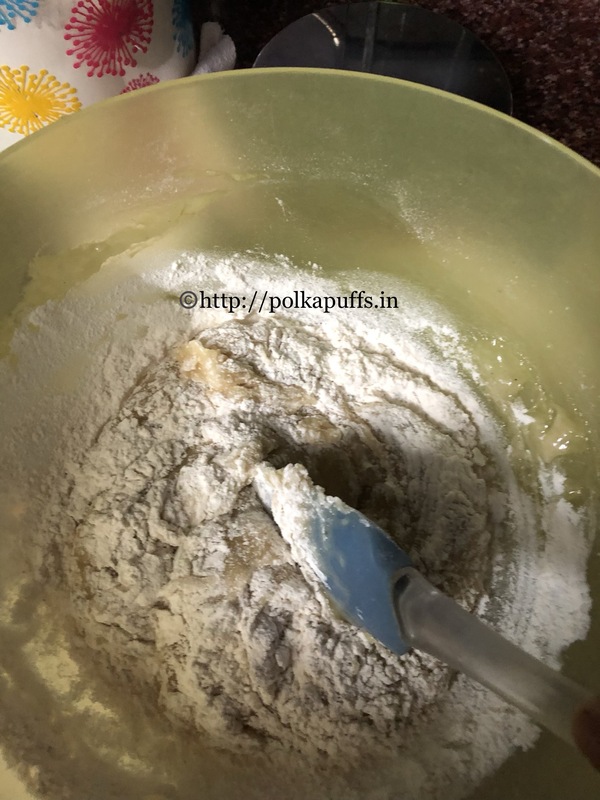 Bakery Style Atta Biscuits | No egg No butter Whole wheat Biscuits are a staple in most tea shops around India. Even in most households, these biscuits find a home as they are delicious and very light as well. 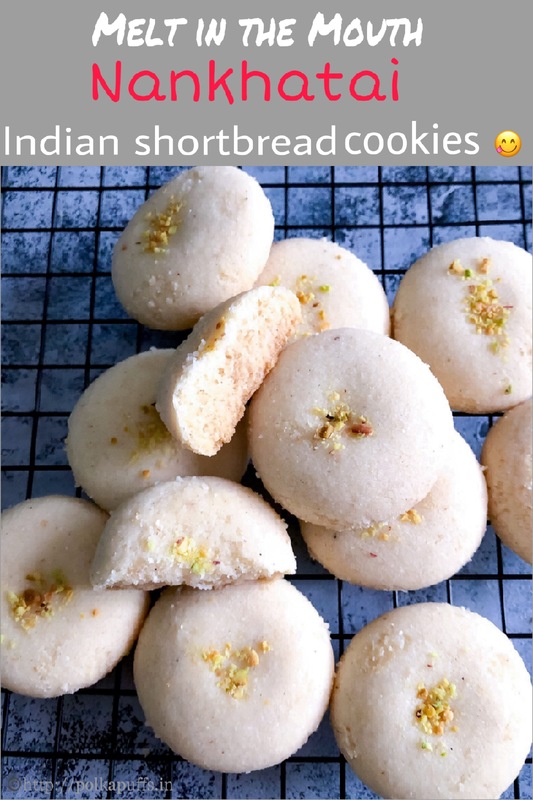 These biscuits are an Indian take on the classic English shortbread biscuits. However, they are made without butter and all purpose flour. Hence they have a slightly dense texture and they are so crumbly. These are made with just 5 ingredients! I didn’t even need any whisking machine or any fancy equipment to make the dough. This biscuit dough doesn’t need to be chilled either before being baked. 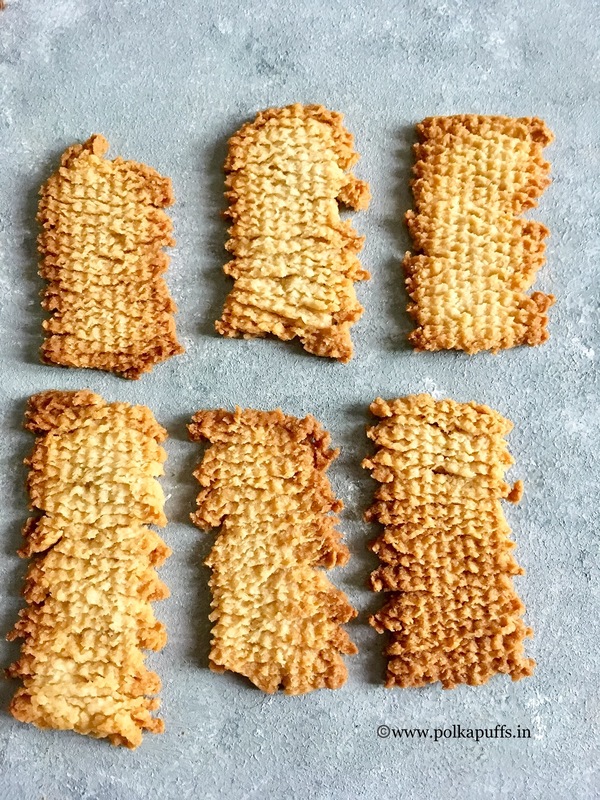 So that means this is a quick, instant biscuit that you can whisk up as and when you like. Preheat the oven @ 160’c for 10 minutes. Line a baking tray with parchment paper. In a large mixing bowl, take ghee (clarified butter) and powdered sugar. 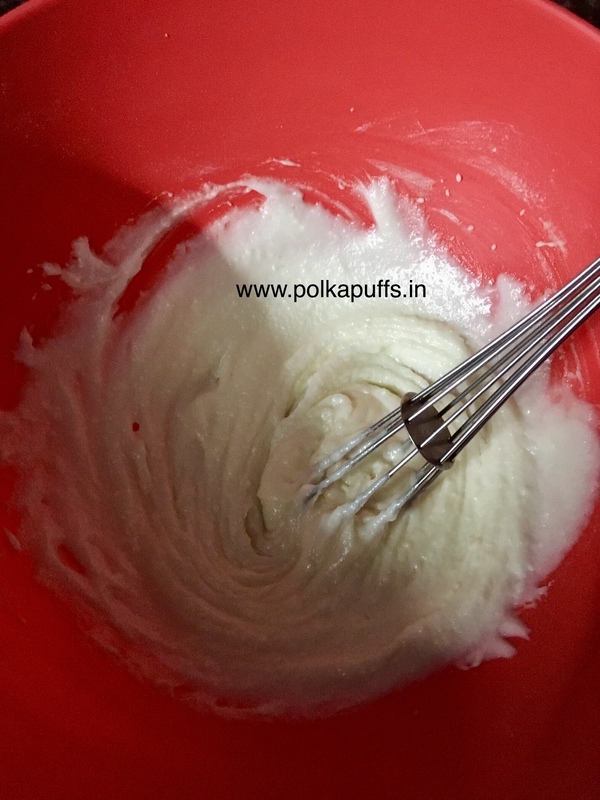 Whisk together the sugar with the ghee until they are well incorporated. This mixture does not have to be very light and fluffy. Next, add the baking powder and half of the whole wheat flour. Whisk gently and add the remaining whole wheat flour. Add milk a little at a time and make a soft, pliable dough. 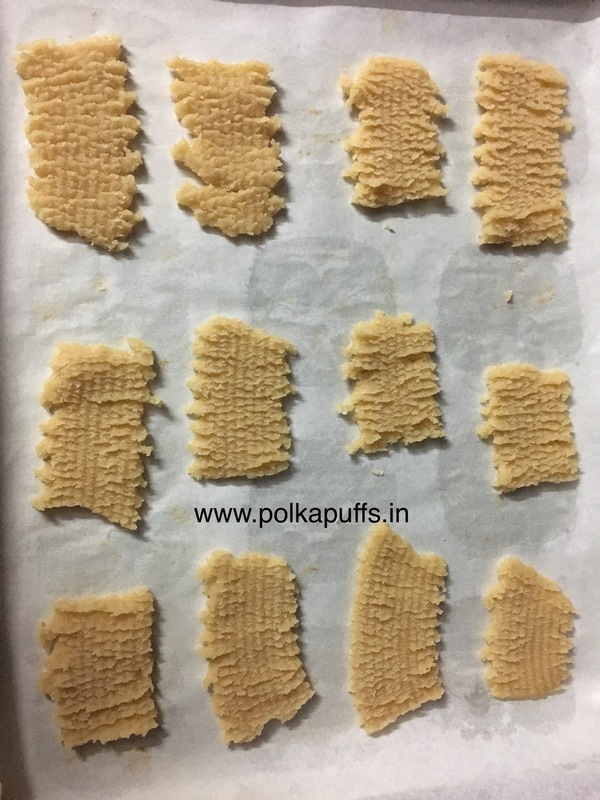 I have used a chakli/ cookie press (the ribbed plate to shape these cookies). Divide the into two equal haves, shape it into logs. Fill one log into the chakli/ cookie press and shape the cookies, keep each cookie about 1 inch -1 1/2 inch long. Bake them @160’c for 15-16 minutes or until the edges turn golden brown. Once baked, cool them on a cooling rack for a few minutes. They turn crisp quite quickly. 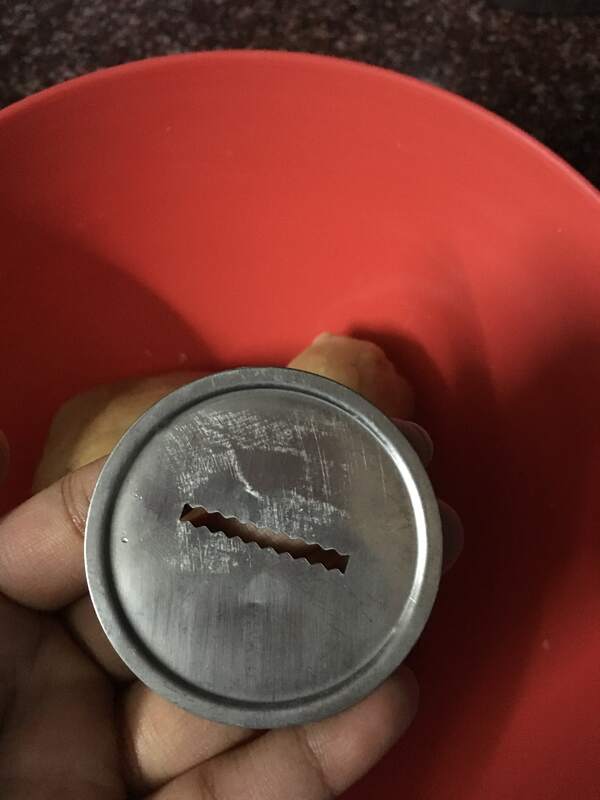 I’ve shared the ingredients in cup/ tablespoons but please be careful, they are approximate measures. It’s best to use ingredients in grams. 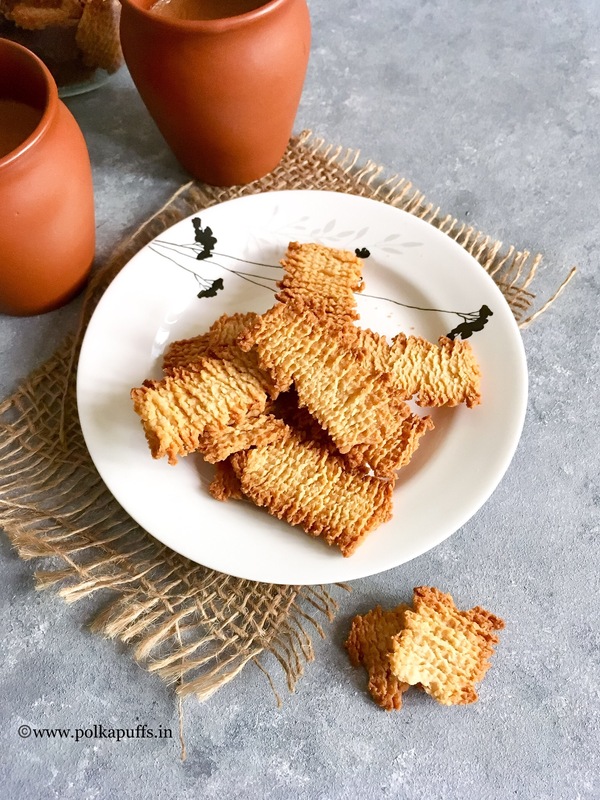 Made with whole wheat flour, these crispy, crunchy and egg free biscuits are light and addictive and pair fabulously with chai! Preheat the oven @ 160'c for 10 minutes. Line a baking tray with parchment paper. 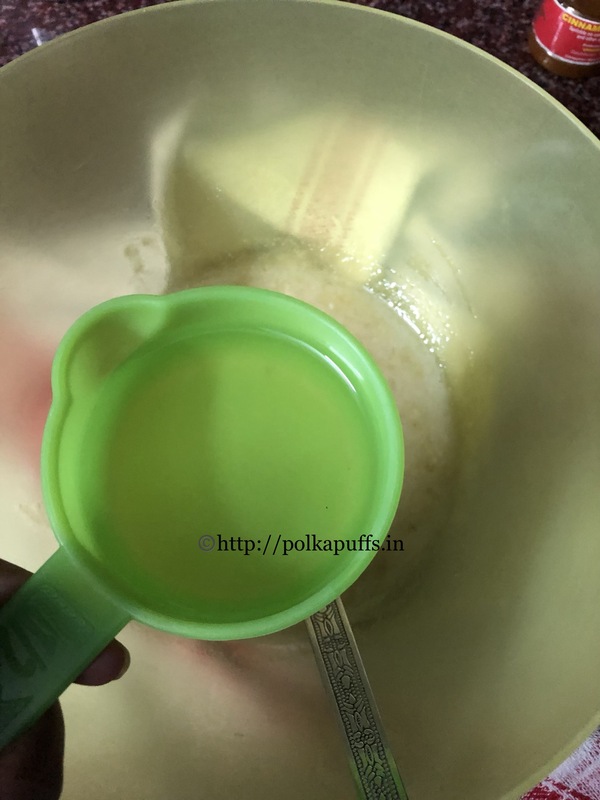 Whisk together the sugar with the ghee until they are well incorporated. This mixture does not have to be very light and fluffy. Divide the into two equal haves, shape it into logs. Fill one log into the chakli/ cookie press and shape the cookies, keep each cookie about 1 inch -1 1/2 inch long. Bake them @160'c for 15-16 minutes or until the edges turn golden brown. These cookies stay fresh for 5-6 days in an airtight container. The dough doesn't need to be chilled before baking. If you don't have a cookie press, roll the dough and slice it any shape before baking them. I guess I can’t keep my hands off the oven…specially when I have to clean out left overs😉😉 I found some peanut butter sitting on one of the shelves in my pantry…and I was like….what can we do with this….. was just about 2-3 tbsps of it….guess it is from my last batch of eggless Peanut Butter and Choco Chip Cookies. Definitely not enough to make a sandwich for lunch. Anyhow, I put it out on the dining table only to notice a few ripe bananas from a copulent of days ago! 😑😑😑 why do I always have bananas when we hardly eat them!! Look at the crumbs…so moist! 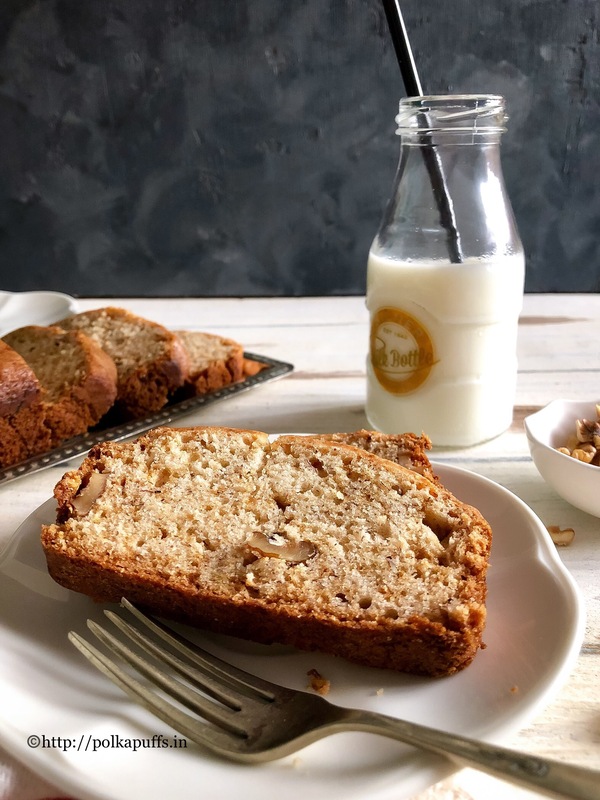 This bread turned out to be so soft and light….just the way we like it! 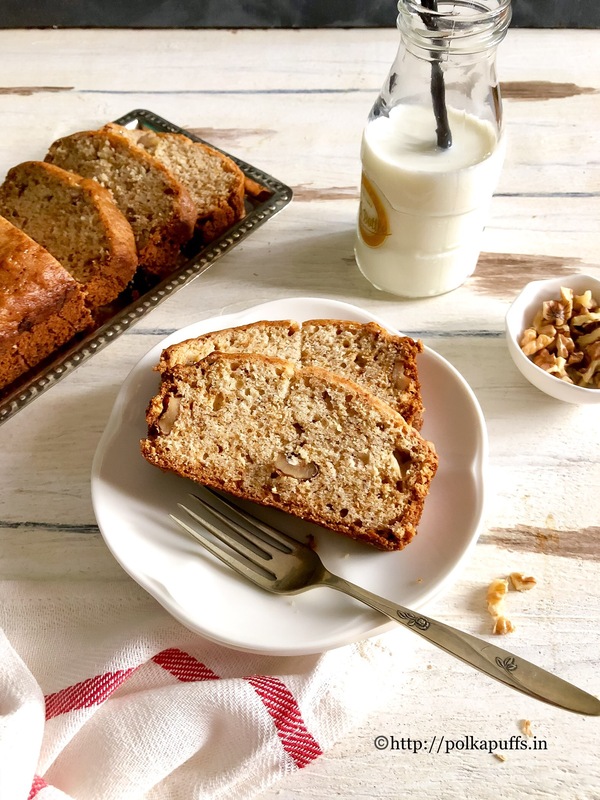 I am glad I did make this because a girl can never have too many banana bread recipes at hand! My Chocolicious Banana & Butterscotch Breakfast Bars are one of my go to recipes whenever I am in a rush to have something ready for a quick breakfast and have some ripe bananas. 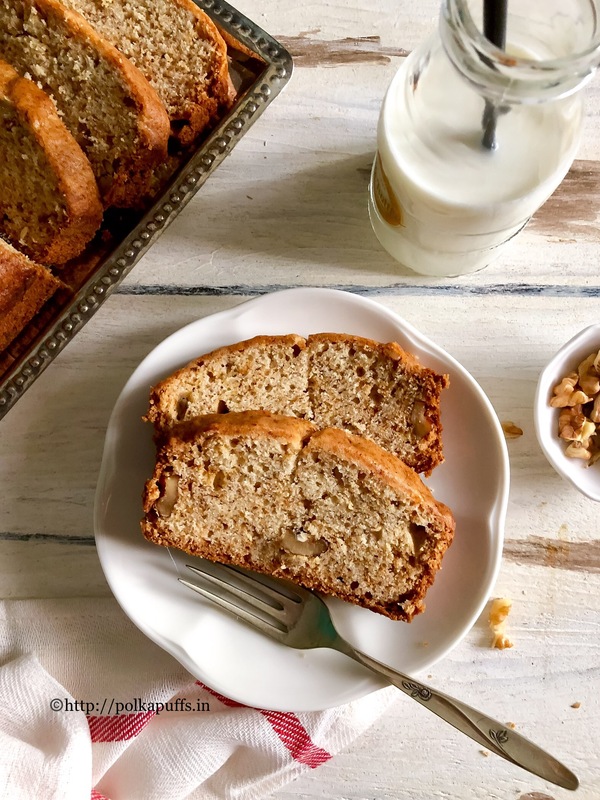 I think this Chocolate Peanut Butter Banana Bread is going to be the next. It’s just been a little over 18 hours since I baked this and almost half of it is gone….we are just the two of us😜😜 some gluttons!!! I baked two loaves, one of 7″ and another mini sized of 6″. Making mini loaves is a good idea if you have plans to send some to your loved ones. 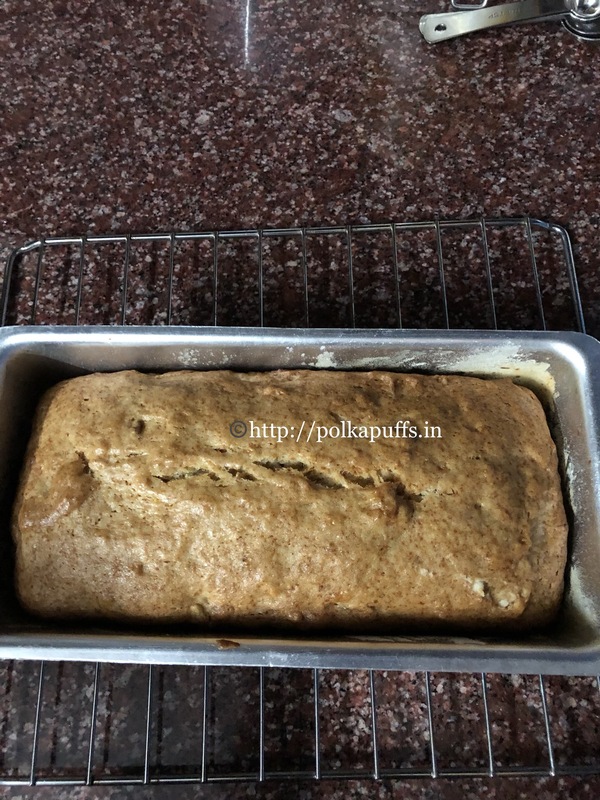 Else you can dump all of the batter in one larger loaf tin and bake a single bread. 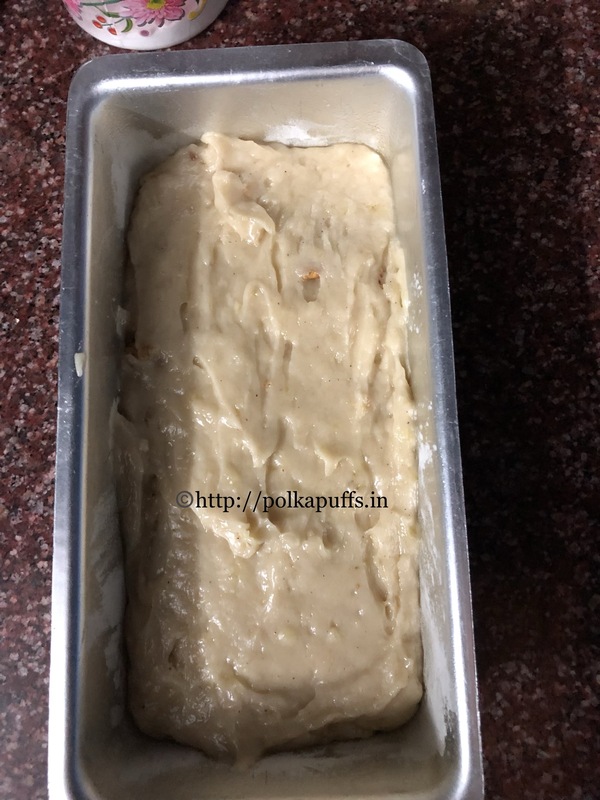 (**Always remember to fill the loaf tin only to 3/4th of it’s capacity to avoid the batter spilling over as it bakes and also line the tray well with parchment paper as shown in the pictures below). I did replace the eggs with thick homemade yogurt and the bread still turned out so good! But I will try with eggs the next time around just to see the difference. 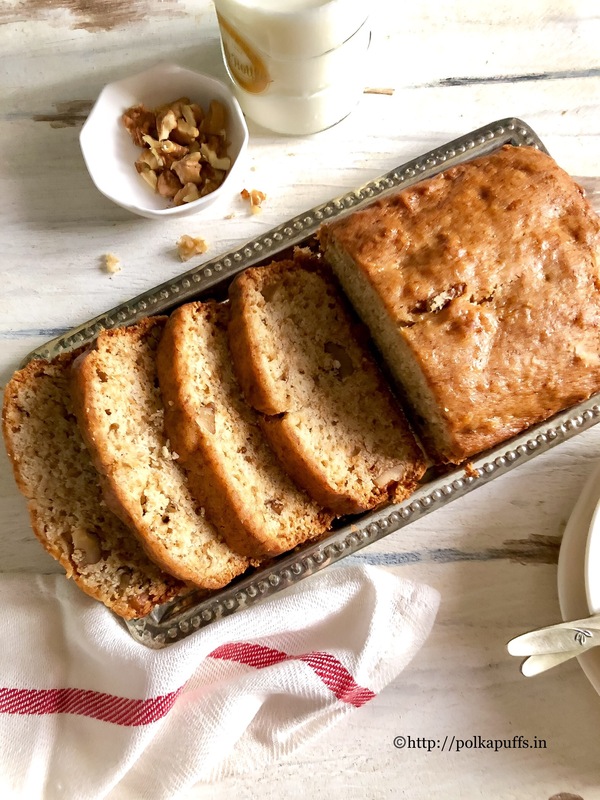 Equipment: a large mixing bowl, a small mixing bowl, a hand blender, measuring cups/ spoons, baking tins, parchment paper or butter paper, a silicon spatula, cooling rack. Preheat the oven @ 180’c. Line the baking trays with parchment or butter paper. Set them aside. 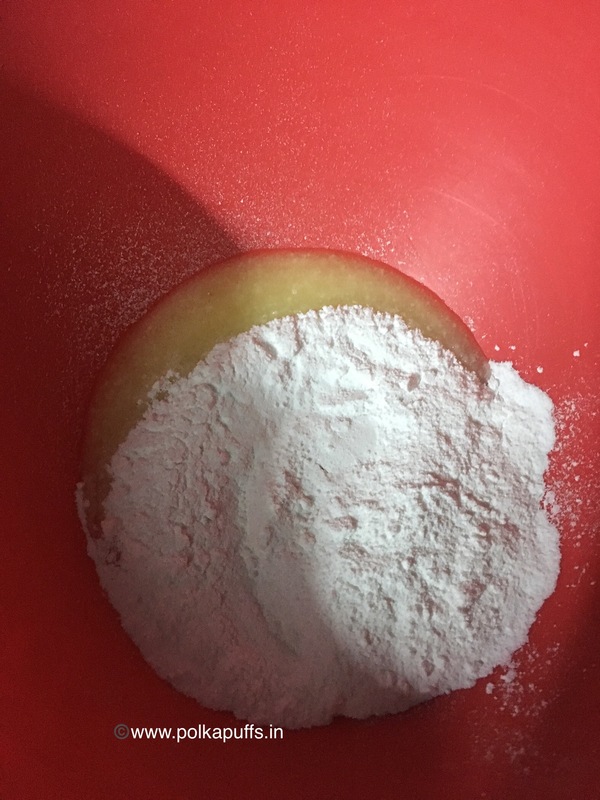 Sift the flour, salt, baking powder, sugar, baking soda in the smaller mixing bowl, stir them together and set the bowl aside. In the larger mixing bowl, add chopped bananas, oil, milk, vanilla extract, yogurt and the peanut butter. Using a hand blender, blend these together until smooth. Next, add the wet ingredients to the dry and using a silicon spatula, fold them together. Do not whisk, just fold them gently. 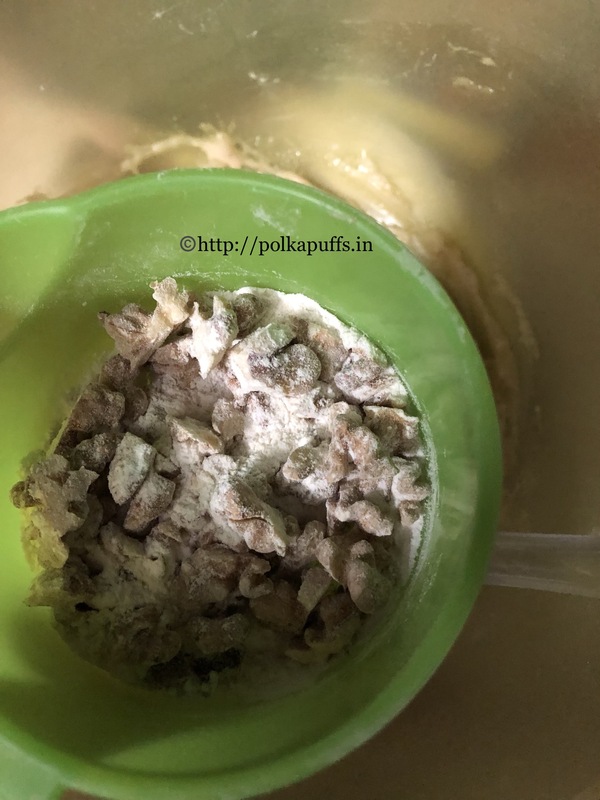 (If the batter looks a bit dry, add 1 tsp to 2tsp extra milk but not too much, the batter must be thick and not runny). Add the chocolate chips next. Fold them in too with the ready batter. (If you do not have chocolate chips, use roughly chopped chocolate chunks of Morde cooking chocolate). 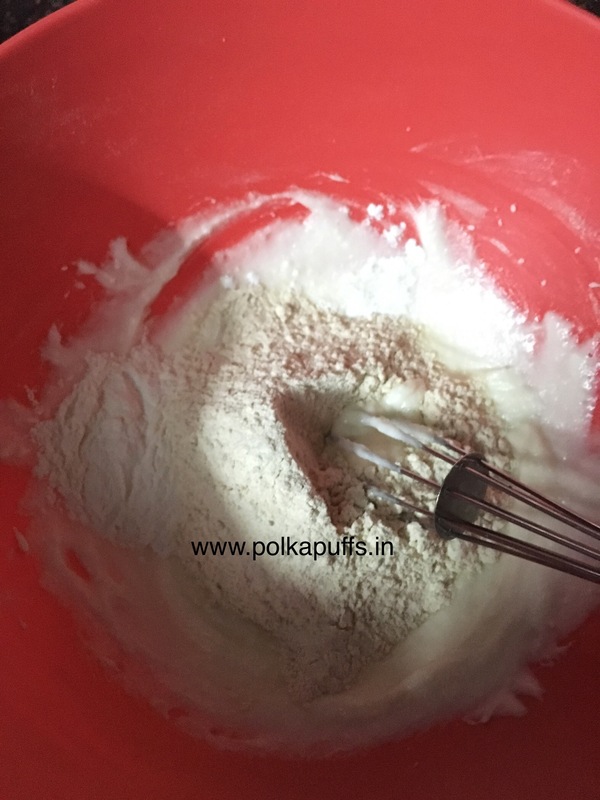 Fill the baking trays with the ready batter only upto 3/4th of their capacity. Tap the trays on the counter a few times to release any air bubbles. Bake them at 180’c for 25 to 30 mins or until a toothpick inserted in the centre of the bread comes out clean or with just a few moist crumbs. (note – I baked the 7″ bread for 35 mins and the 6″ bread for approximately 27 mins. Please adjust the temperature and duration as per your own oven. Every oven does work differently). Once the breads are baked, let them be in their tin for 10 mins, then unmould them and let them cool on the cooling rack for 20 mins or so before slicing.